Offers a unique opportunity to recruit, develop and retain the right staff for your organisation offering a joined up approach to talent management. The 175 traits can be used to measure for cultural fit, cultural values and job fit. 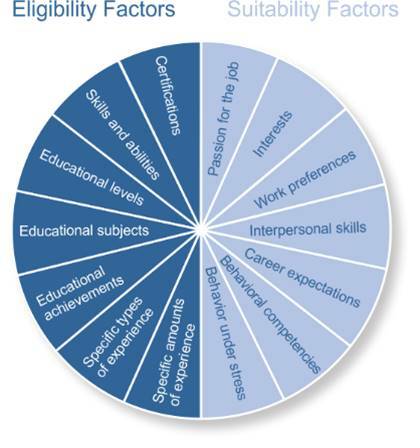 In recruitment alone by introducing suitability factors as well as eligibility factors (experience and qualifications) it can increase the prospect of success from an average of 40-45% to nearer 90-95%. HATS is the result of over 25 years of research into what makes people successful at work by Dr Dan Harrison. It combines ParadoxTechnology™ with 175 behavioural traits including working preferences, motivations, work values, interpersonal skills, interests and attitudes. ParadoxTechnology™ sets HATS well apart from its competitors who often rely on bipolar assessments which can be fooled and can produce inaccurate results. The SmartQuestionnaire™ is the foundation for all the reports. It cannot be fooled and has a consistency monitor to ensure accuracy of replies. It performs over 8,000 cross matches behind the scenes and is the equivalent of a whole day’s multiple choice questioning and/or 2071 questions. HATS is used by over 2 million people in 46 countries and is translated into 25 different languages. Customers include many national and international companies, SME’s, public sector and not for profit organisations. There is no licence fee with HATS enabling you, the customer, to use as much or as little of the system as you wish and build up usage gradually. Bespoke consultancy packages are available to guide you through the setting up and staged integration of the system.